PLEASE ENSURE THAT IF YOU SUFFER FROM ANY CHRONIC CONDITION SUCH AS DIABETES, COPD, HEART DISEASE ETC THAT YOU HAVE A CHECK UP - AT LEAST EVERY 9 MONTHS. The practice nurse sees patients by appointments for matters including dressings, blood pressure monitoring, phlebotomy (blood tests) and immunisations of vaccinations including flu vaccines. 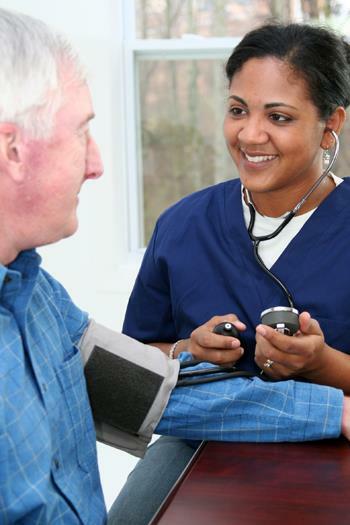 Appointments for a blood test can be made with our phlebotomist & healthcare assistant. The Midwife holds antenatal clinics on a weekly basis. It is very important that you attend for any regular follow-up appointments i.e. chronic disease management check up’s for diabetes, coronary heart disease, cervical smear & asthma etc. These are all carried out by the Practice Nurse. It is very important that you attend all of your appointments to ensure that we can help you maintain your health at an optimum level. If you have not been seen for a number of years please feel free to make an appointment with the nurse for a well person check. There are a range of Counselling therapies available that your GP may be able to refer you to should this be required. If you are performing a Carer’s role for a family member or friend please inform one of our staff. Caring for someone can be very stressful and you may need extra help or support. Our receptionists have Carer Packs which include information sheets and useful contact numbers. Similarly if you are being cared for by a friend or relative please let us know. Screening is a way of testing healthy people to see if they show any early signs of cancer. Bowel cancer screening can save lives. If bowel cancer is found early, it is easier to treat. Screening may also pick up non-cancerous growths (polyps), which could become cancerous in the future. Bowel cancer is treatable and curable, especially if it’s diagnosed early. Nearly everyone diagnosed at the earliest stage will survive bowel cancer. Taking part in bowel cancer screening is the best way to get diagnosed early. Bowel cancer screening programmes in England, Wales and Northern Ireland invite people over the age of 60 to take part in screening. In Scotland, screening starts from age 50. We do not provide bowel cancer screening test kits or accept completed kits. If you have a high risk of getting bowel cancer, you may have tests at a younger age. See more by following the link below.